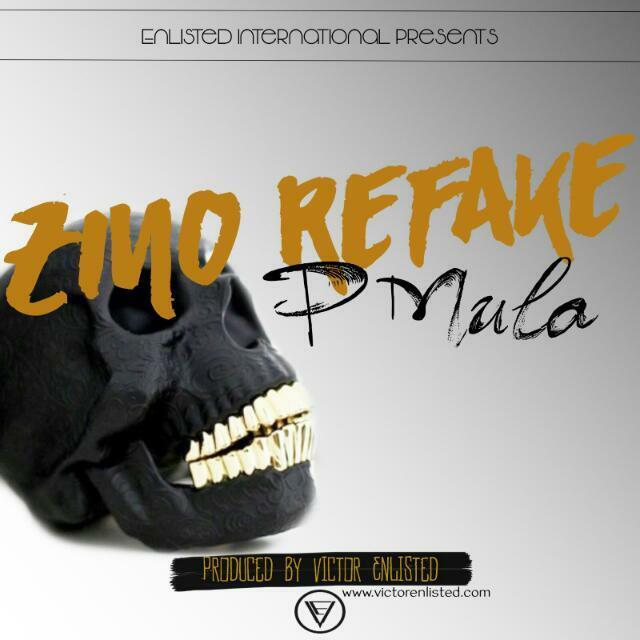 Norton based rapper Pmula aka Mr Mastandards has started this year on a roll.Just a few weeks back he gave us Ndinovapeta and now he is back with Zino ReFake. Norton based rapper Pmula aka Mr Mastandards has started this year on a roll.Just a few weeks back he gave us Ndinovapeta and now he is back with Zino ReFake.While in the past he experimented with different sounds on this track he leans heavily towards the trap sound popular among rappers currently and I must admit that dude might have found his niche sound. Production was handled by Norton based Victor Mhonde popularly know as Vic Enlisted for Enlisted International. The as one might have guessed from the title is adressed at that section of the society who will cosy up to you and smile to your face before spitting on your shadow once your back is turned faster than you can say Judas.In the context of the rap game one gets the feeling its addressed to industry people whom Mula once believed were friends and peers only to realize they want to see him fail.It also applies to our day to day life were it seems snakes are to be found at every corner disguised as pals.The powerful message is complemented by some pretty stellar bars to augment the banging Vic beat. A couple of shout outs appear in the song from a certain Sean whom Pmula says took him out of Boma after seeing his vision to Boss Spencer Madziya and two bloggers namely Spekktrumn and Dodger. You can stream or download the joint @PmulaWemastandards's SoundCloud. To keep up with the man follow him on @PmuLa263 on twitter and add him on Facebook as well.